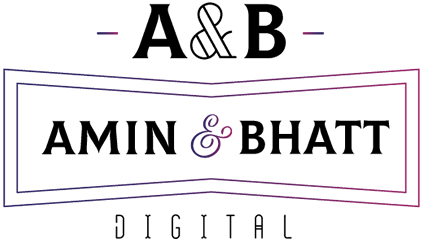 © 2019 Amin & Bhatt Digital. The issue of online privacy is extremely crucial for A&B Digital which is committed to safeguarding the information provided by its members (registered users) and other visitors (unregistered users) logging on to its Web site. A&B Digital is dedicated to create a secure environment for internet. (Collectively). Business Name, address, email id, work timings, holidays, slogan, turnover, Owner name, manager name , Services provided, service costs, time taken , Service category, description, phones, customers per slot, Social links (Facebook, google+, twitter, linkedIn) links, booking slots availability. Cookies, which enable us to store small amounts of information contained in your Web site browser, may be used on some areas of our Website. Cookies, that help us track your navigation, enable us to tailor our offerings to your needs. The kind of information that may be stored on a cookie includes registration data so that a user does not need to re-enter the information every time he/she visits a particular area, user IP address, user ISP details, user search track/log details and user browser details. https://abdigital.in/ gives you the choice regarding the collection and usage of your personally identifiable information. During registration for “joining our mailing list,” we request for contact information in order to send bulletins and for advertising purposes. Again, it is not necessary for you to register in order to access and use our Site. You may therefore choose to opt out of providing such information. https://abdigital.in has implemented stringent, internationally acceptable standards of technology and operational security in order to protect personally identifiable information from loss, misuse, alteration or destruction. The data resides behind a firewall, with access restricted to authorized A&B Digital personnel. https://abdigital.in has implemented “Reasonable Security Practices” as required by the Information Technology Act, 2000 rules including any amendment in the said Act and rules. By complying with such provisions, https://abdigital.in/ assures proper care, control and diligence over its I.T. and Security operations under sections 43, 43A, 45, 66, 72A & Section 85 of I.T.Act, 2000 including related rules. By using this site you agree that https://abdigital.in shall not be held responsible for any uncontrollable security attack and in such cases you agree that https://abdigital.in shall not be held responsible for any type of financial, opportunity, legal, business and reputation losses that may occur to you under the Provisions of Section 43, 43A and 45 of Information Technology Act, 2000 and including any amendments in the said Act. You further agree that https://abdigital.in management shall not be held responsible directly or indirectly for any cyber crime related criminal liabilities under I.T.Act,2000 relating to your information as you agree and acknowledge that management of https://abdigital.in/ complies with due diligence requirements of I.T.Act,2000 including its rules and amendments.